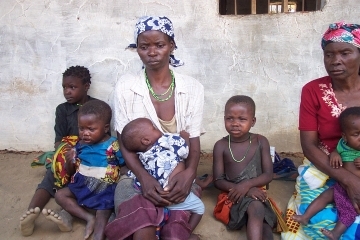 One of the most hopeful Christian responses to this desperate situation has been developed over the past two years by Dr. Don Kantel, long-time Canadian missionary with Iris and Associate Director (under Heidi) of Iris’ huge Pemba Base. 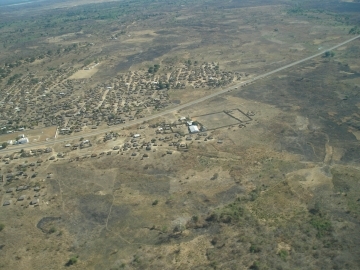 The Mieze Model for Village Transformation is named for the rural village of 20,000 where the prototype development has taken place…located about 20 minutes’ drive south of Pemba. 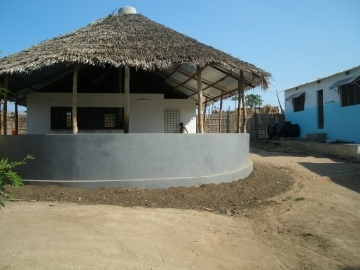 This model is an official project of Iris Ministries Canada and has been generously supported by Canadian friends of Iris Ministries through gifts to IMC designated for Mieze and for subsequent village locations where the model is being applied. Through tears of joy, Iris visitors frequently cite their visit to Mieze as the most impacting and encouraging part of their whole time in Africa! At the heart of the Mieze Model is a children’s village—the “Village of Love”—for nearly 40 resident orphans and vulnerable children. This is designed to take “the least of the least”—trapped in the dusty, hopeless cycle of extreme suffering and poverty—and raise and equip them to become effective Christian leaders for their nation and generation. 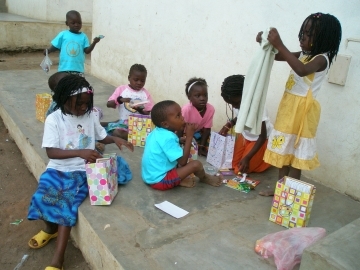 Our commitment to these children is to provide good, clean, safe accommodation in a loving Christian environment; good nutrition and safe drinking water; access to schooling; and adequate clothing and medical care, etc., as needed. The children’s spiritual development is as high a priority as their physical and material care. And the whole project is designed to demonstrate the goodness of God to an entire village which has only known spiritual darkness and oppression in the past. 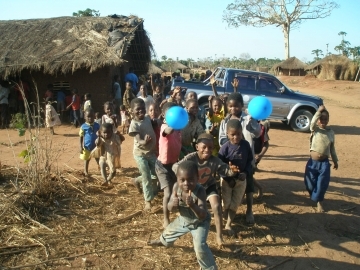 *a children’s playground and a soccer field for village kids…most of whom have never even had a toy to play with before. One of the obvious and dramatic results of this program at Mieze is that regular attendance at the Iris church in Mieze has tripled from 125 to over 350; and much of this recent growth has been children! 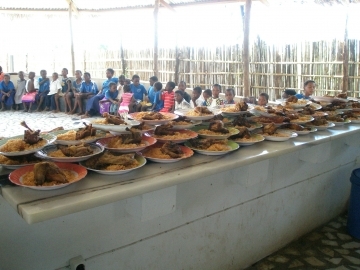 January-April 2007 God supernaturally multiplied food on three occasions for Mieze village children! 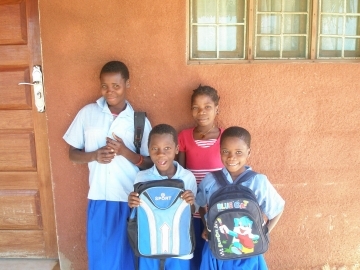 The following photos tell the 'stories' of the reality of where all of the children that Iris is working with through the Village projects have come from. The poverty and utter simplicity of village life for the poor is devastating. 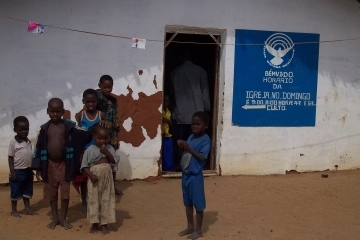 *Below is the Report posted in November 2007 as the children were moving into their new home in the Village of Love. 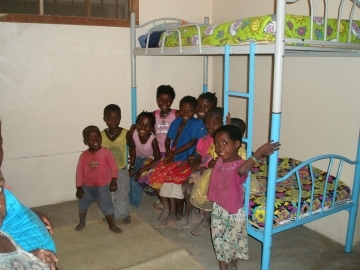 After many months of planning, working and praying, we have finally been able to open our new orphan-homes at Mieze. We already have 17 girls and 16 boys from 3-14 years old in their new homes, with only 4 more places left to fill. There are also now 14 full-time staff (including guards, kitchen staff, house-mothers and cleaning staff). It has been amazing to witness the process as new children have been arriving almost daily. Each one is welcomed with some new clothing (though we will always be in need of more), a towel, toothbrush and toothpaste, a new bed and many new friends. Most have been living under the most deprived circumstances up till now, as witnessed by the worn rags they usually bring with them. I watched in silence as 14 year-old Muanaidi arrived from a neighboring village with her 2 little sisters. She unwrapped a small piece of material containing all the clothes the 3 sisters owned. She folded them neatly, and deliberately placed them in their drawers beside their bright new pink towels. (I discovered the kids didn’t know the word for “pink” in Portuguese or even in Makua. Life has been very basic and drab for them before now.) This week, many of the kids have seen themselves in a mirror for the first time. Electric lights, running water, flush toilets and showers are all new experiences for everyone. The showers have been a particular hit, especially given the heat and humidity of this time of year. At all times of the day, kids appear dripping wet and grinning from ear to ear. One of the truly wonderful things is watching the kids gather for a meal. They don’t just say a quick grace and get on with their food. They worship…loudly and joyfully…for at least 5 minutes. All led by 11-year-olds with no adult prompting. And then the older ones help the younger ones before they settle down to their own meal. 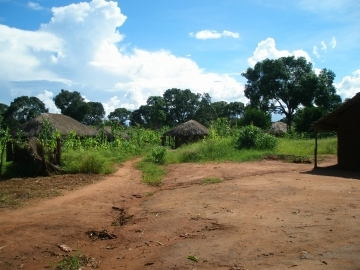 The second phase of this project is to adapt the Mieze Model to additional village locations. 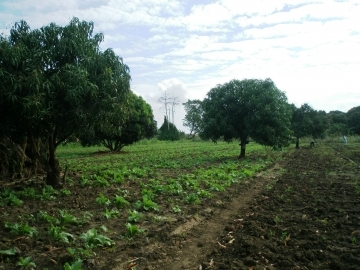 In April 2008, land was acquired in the sprawling Village of Noviana, just adjacent to the Iris-Pemba Base. 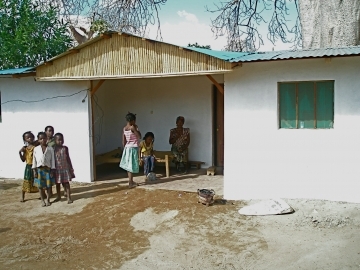 Work was begun to build three small houses to accommodate needy village families and orphans and to create a small Christian community in the midst of 48,000 villagers who don’t know the Lord. 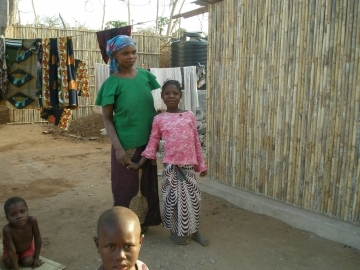 In June the first family moved in—a widow with two young daughters. 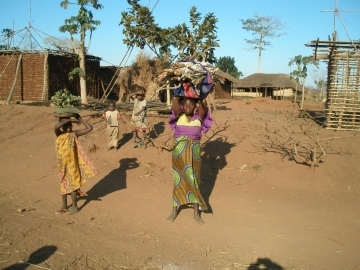 She will also be caring for two or more additional village orphans. 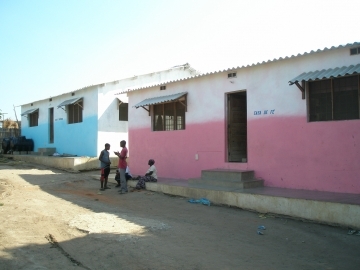 The largest of the three houses was completed in September and immediately needed by a desperately poor family of six--an elderly grandmother, her blind daughter, and her daughter’s four young children. 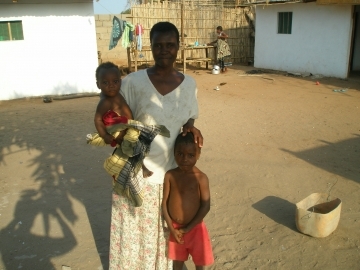 This homeless family came to Iris from a distant village hoping to find help. 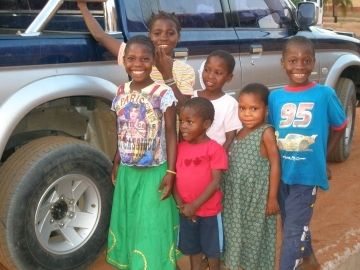 They had absolutely no possessions other than the tattered clothes they were wearing so we had to provide everything they needed to start a new life with us. 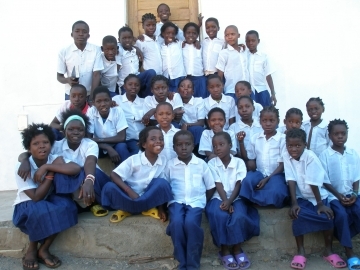 All the children of school age have already been enrolled in the Iris primary school. 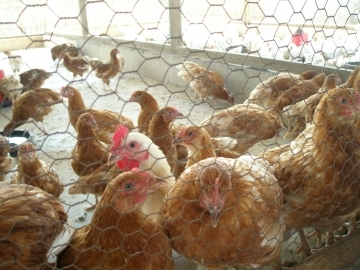 Food and potable water are being provided for these families; and plans are underway for them to raise chickens for meat and eggs and to begin visiting their neighbours to share their faith. 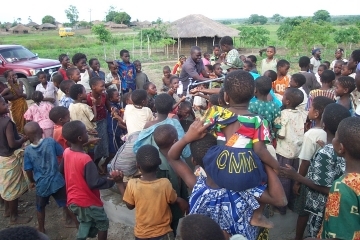 Already many of the other neighboring children have begun attending church and coming to the daily evangelism and food program for village children on the Iris Base as a result of the contact we’ve been having with them through this project. The next application of the Mieze Model will present a new set of challenges. 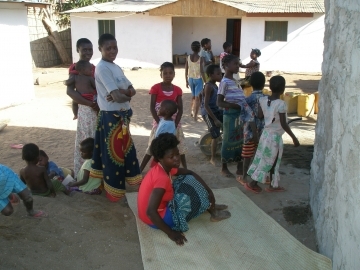 The location is Ibo Island, the former Portuguese capital of this northern Cabo Delgado province. This small coastal island has a resident population of about 4,000…with five mosques and absolutely no gospel witness. 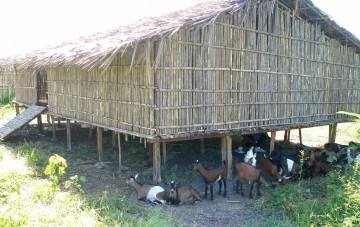 Because of its history, Ibo is the spiritual and social gateway to several other small islands which, collectively, form the protected Quirimbis Archipelago. They share a unique and pristine marine environment and have become a mecca for wealthy tourists visiting their environmentally-sensitive, five-star luxury lodges. As of September 2008, we are trying to acquire property on Ibo to develop a Mieze-style children’s village, and to initiate medical outreaches to residents and an agricultural project to provide fresh produce and employment for needy islanders.